Founded in 1983, Chicago Gallery News is the central source for information about the area's art galleries, museums, events, and resources. Chicago Gallery News was founded in the winter of 1982/83 as a way of centrally promoting the openings and exhibition of a handful of galleries located around Superior and Huron Streets in what is today known as River North. Eventually, that handful, known as the Original 16, expanded throughout River North and then around the city, into the West Loop, Wicker Park and Bucktown, to Lincoln Park, Humboldt Park, Bridgeport and Pilsen. New galleries continue to open their doors each year, and the city's strong visual arts culture continues to thrive. CGN has evolved too. What began as a four-page black and white pamphlet today covers dozens of Chicago area galleries, artists, art centers and museums, as well as visual arts happenings and institutions throughout the region, reaching readers in the Midwest and beyond. 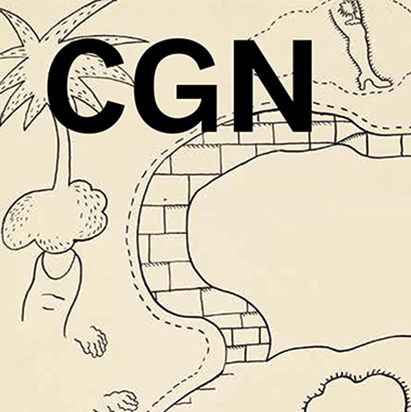 CGN aims to be a clear, accessible link to the creative world, as well as an advocate on behalf of our art community. Published 3 times a year, our annual listings guide, plus our summer and fall magazines, our print editions and website feature over 120 galleries and arts institutions and their exhibitions and specialties. We also list scores of art-related businesses and resources, arts nonprofits and alternative spaces, artist studios, and art centers. CGN features a series of art profiles, highlighting the unique perspectives of Chicago's art dealers, artists, and collectors. Magazines are available in all listed galleries, art centers, and international art fairs like EXPO Chicago, and SOFA Chicago, as well as at the Randolph Street Market, the Chicago Cultural Center, at local art events and exhibition openings, and at most hotel concierge desks throughout Chicago. Subscriptions are also available.